08 Oct 2018 The time of empty words is over. People have to be effectively protected. On October 3rd 2013, Italy and the entire world woke up with the horrific news of a shipwreck killing 368 people off Lampedusa, Europe’s doorstep. The day after, public opinion was moved and indignant, and political leaders promised that similar tragedies would not occurr anymore. That day marks a turning point in my private and professional life. 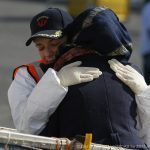 My family wondered how it could be possible to accept that people jam-packed onboard unsafe vessels in desperate conditions regularly attempted to cross the sea. 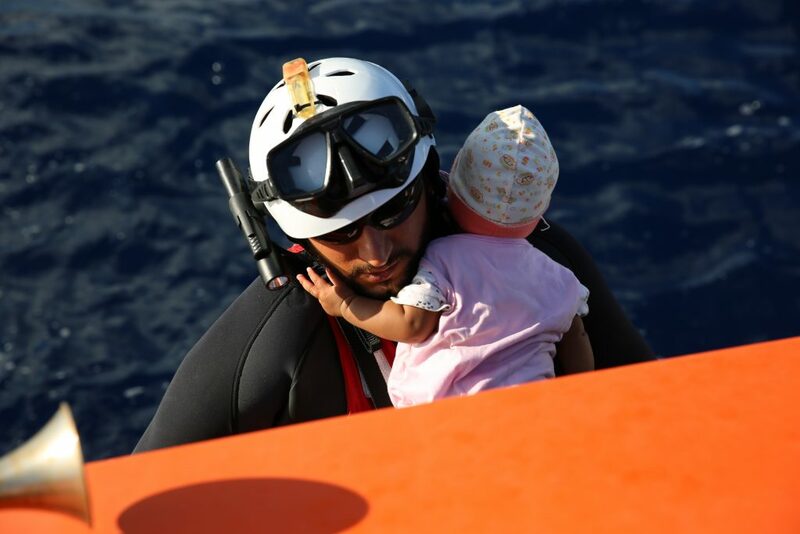 So, we decided to contribute with our resources and know-how to mitigate the loss of lives at sea. Some months earlier, we were on holiday on the Rabbit Beach, and the beauty of the landscape with its pristine sand fascinated us. On that very same beach, you could now see the bodies of the people who had died dreaming of a better life. I will never forget the contrast between the white sand and the bodies washed ashore. In July 2013, Pope Francis was in Lampedusa and encouraged civil society to react and fight against the globalisation of indifference. Soon after, this shipwreck proved that inaction and indifference might be as fatal as weapons. The shipwreck which occurred on the 3rd October 2013 killed innocent people, but triggered a concrete reaction, above all in Italy. 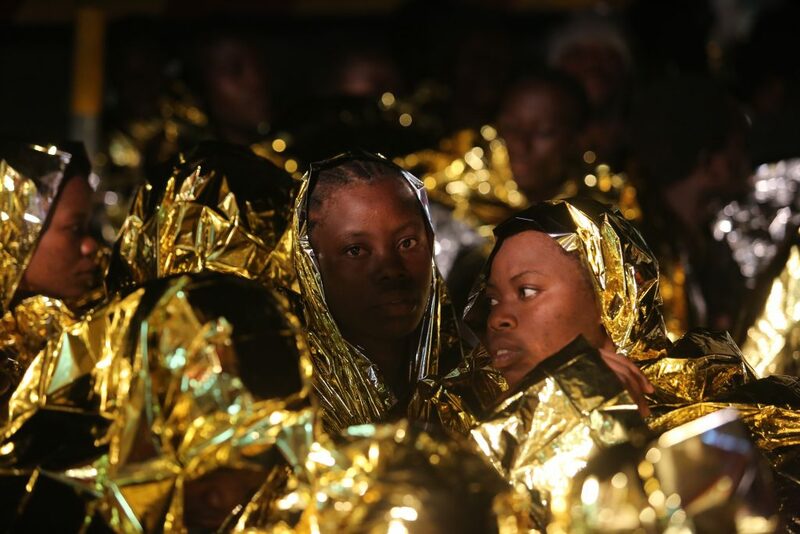 In fact, the Italian government implemented Mare Nostrum, an unparalleled humanitarian and military mission whose mandate was to search and rescue people in distress at sea. This gave us –members of civil society- hope and motivation to support the Italian Navy. Additionally, we allowed journalists to join us during the SAR missions, and the main focus moved from disembarkation ports to SAR missions at sea that were now documented. Everybody could finally understand the emotions and feelings of rescuers and rescued, as well as the tragedy of casualties at sea. Mare Nostrum was later suspended in October 2014, marking the end of a fundamental phase in SAR activities in the Mediterranean Sea. Since then, the general atmosphere slowly changed, starting from the words used to talk about migration. People were replaced by figures and statistics, and the humanitarian dimension was neglected to focus on border defense. Political leaders aimed to protect borders, not human beings. Europe became a fortress, and an unknown number of people continued to die or be abused at its external borders. Moreover, the solutions implemented so far have only externalised this issue, without finding a long-term, human strategy to resolve the current migration crisis. 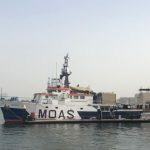 After the EU-Turkey deal in March 2016, crossings along the Aegean route –where MOAS operated from December 2015 until March 2016- were thought to be over. Nonetheless, despite a huge fall, they have never really stopped, and the living conditions for those stranded in Greece only worsened. At the same time, EU Member States closed national borders and showed their egoism, by fuelling racism and xenophobia. Unable to find a solution that honours human rights and European values, governments opted for more and more aggressive propaganda opposing European citizens to migrants and refugees in search of peace in Europe. According to MissingMigrants, since 2014, at least 17,000 people might have died along the world’s deadliest migration route, the Mediterranean Sea. During the last year, the fatality rate almost doubled. Between January and July 2017, one person in 42 died at sea, while during the same period in 2018 one in 18 perished attempting the crossing. Casualties peaked between June and July 2018, when at least an estimated 851 lost their life or went missing. However, no one knows how many people died since there are almost no assets left at sea to monitor the situation. 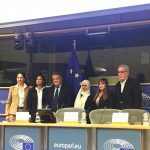 Solidarity is currently criminalised, there are more and more crises, and inaction can’t be the only response. We can’t simply continue to ignore the suffering of other human beings who look for peace like us. After five years since that shipwreck that took the lives of 368 people off Lampedusa, we should stop reiterating empty words, which mean nothing without concrete actions to support them. This year, it is even more important to stress the importance of solidarity and personal commitment, because on October 2nd Domenico Lucano, the Mayor of Riace who is considered a symbol of welcome and integration, was arrested. Coming from his region, Calabria, I am particularly sad because I know that the positive Riace model helped a small village to thrive. Five years later, we should stop counting the deaths and ignore the survivors to commit ourselves to finding long-term solutions that would put an end to deadly journeys. We should build bridges of peace and brotherhood by opening safe and legal routes for the most vulnerable, destroy trafficking networks and better integrate the new-comers. Relocation and resettlement would play a fundamental role together with humanitarian corridors to achieve a more sustainable distribution of people and would prevent overcrowding in facilities where it would be impossible to take care of every single person. Five years later, the time for empty words is over. It is finally time to take action and really protect people.